If you are a beginner in the discipline remember that the most important thing is that you listen to your body and know your limits. Do not try to perform complex postures if you are not used to it. Yoga as a discipline is an exercise system composed of postures or asanas. In each posture flexibility, resistance and meditation are practiced. Each yogi will advance by the dedication and effort in each practice. For this reason, there are some basic positions that are very easy to do. The asana system has its origin in the yoga books of Hinduism. Each one has a name in Sanskrit and a technique to carry it out. The practice can be advanced or for beginners, the important thing is to be connected with the moment. Many basic postures for beginners can be practiced because the level of complexity is simple and does not require to be an expert in the technique to execute them. There are positions that are innate to the individual and allow you to relax between one position and another. In holistic yoga, postures and physical activity are fundamental to strengthen the body. Although in this modality the meditation or relaxation is not so relevant, do not forget to breathe during the practice. If you are starting in yoga, here we leave you 5 basic postures for beginners. Dare and enjoy yoga to reconnect body and soul. Do not worry if you do not execute them perfectly because soon, with perseverance and discipline, you will improve. This posture is ideal to relax and breathe. It consists of lying on the back with legs apart, arms away from the body and palms facing up. Allow the fingers to rest and pick up a little. Relax the ankles, knees, thighs, and glutes. In Shavasana, you will be able to release the tensions of the body and breathe because the posture allows you to be in a still state. You do not need to make a great physical effort: just lie down and breathe. It is one of the best yoga exercises for beginners. With the chair, you will strengthen the middle back and legs, as well as release tension in the spine. To perform the posture of the chair you will place the legs together and stand, with the arms on both sides of the body and the feet about hip-width apart. From that position, it inspires and raises the arms towards the ceiling, with the muscles of them activated and the palms of the hands facing each other. The dog down is one of the basic postures of yoga and this exercise will be present in several routines. It is called the rest position because it serves to relax the back in times of stress during practice. In this position you can start lying or standing, depending on the routine you are running. Separate the feet to the width of the hip, deeply inspire and raise the arms towards the ceiling. 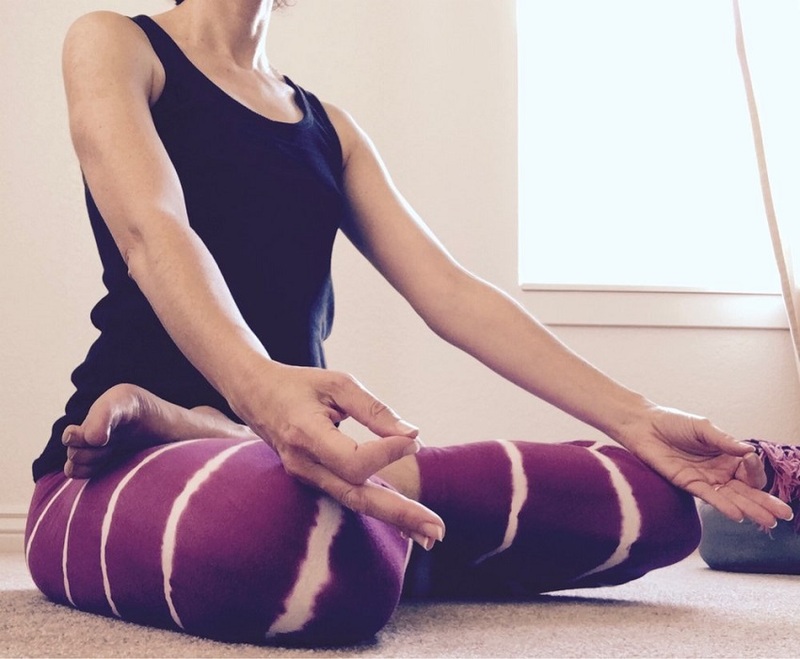 As you exhale, bend the hip until you reach the floor with your hands. From this position, take a step back to reach the inverted V posture, bringing your hips to the ceiling. It is one of the yoga exercises for beginners. The cobra is a posture that serves to stretch the abdomen and lower back. To start the pose, stand on the mat face down with your arms slightly apart from the body and palms down as well. Breathe and support the palms of your hands just below the shoulders. Stretch your legs and support the instep of each foot on the mat. Then stretch your arms at the same time you bend backward. Throw back your head too. It is one of the best yoga exercises for beginners. This position is ideal for meditating and relaxing the body because you open your body and mind to the energies of the class. To start to sit on the mat and straighten your back with your legs straight. Then bend one of the knees and draw the foot towards you holding it with your hands. Put it on the thigh of the other leg, bringing the foot of the hip closer. When you have your legs crossed, place your hands on your knees and breathe slowly. This yoga poses for beginners are simple and you can do them at different times in practice. Relax and do not be afraid to start yoga practices, this will help you strengthen your body and mind!